Over a hundred years ago women were prohibited to vote, even though they were allowed to endanger their own lives supporting the war effort. Thankfully, in today's more congenial environment, women can do a number of things they couldn't in the past. Such as building, wearing provocative hats, as well as writing comic books too. Now for more information, please check out the following interview I did with an amazing lady called Debbie. 1) What are your own origins, Debbie? Plus what path did you take in life prior to getting to where you are today? I’m originally from Barberton, Ohio, the chicken dinner capital of the world! Really, look it up. I started writing when I was 8-years-old. I never expected I would end up writing for television, but I did. I’ve also published short stories, and have written audio dramas for the 60s classic soap, 'Dark Shadows'. My agent suggested that I turn a horror pilot I wrote but never sold into a comic book -- and so here I am. 2) What inspired you to form ‘Kymera Press Inc’? 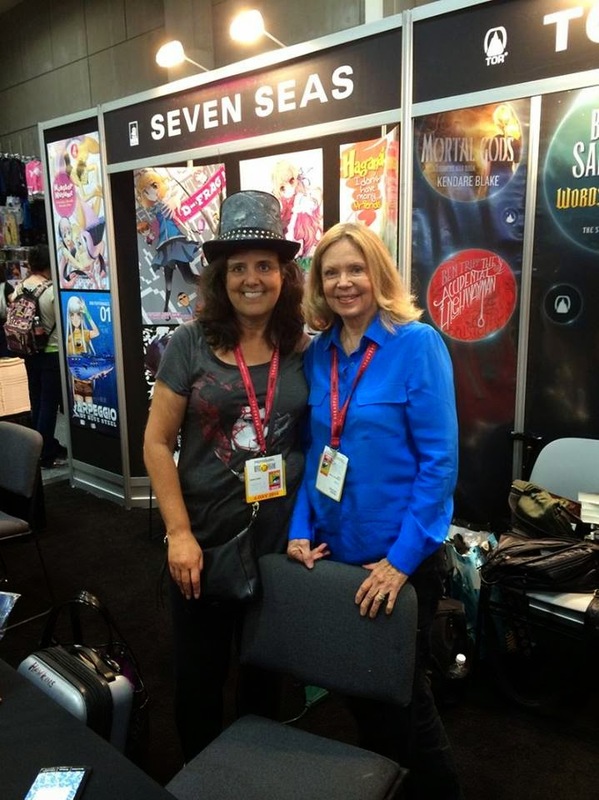 My agent, Maggie Field, who is also my business partner, and I attended ImageCon in San Francisco in July of 2013. It was a one-day event, and as the day progressed we noticed that everyone on the stage, plus everyone in the panel, was male. In the hotel room that night, we had a long conversation about how what we wanted to do went far beyond just putting out my comic, ‘Gates of Midnight.’ We decided then and there to use all women in the development of ‘Gates. And we decided that we wanted to provide an outlet for the incredibly talented women currently working or trying to break into the comic book world. Kymera Press was born that night in a San Francisco hotel room. I know that’s when I made the commitment to become a business owner rather than just a writer. I prefer to be just a writer, but this needed to be done. 3) Can you briefly tell us about some the projects under your banner? 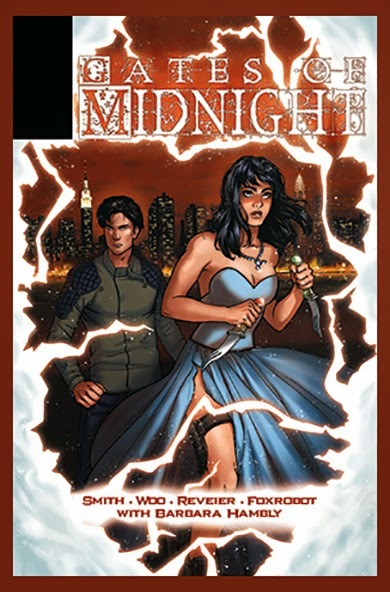 GATES OF MIDNIGHT is a supernatural thriller pitting Raven, a combat paramedic recently returned from Afghanistan, against creatures from another world. It’s dark fantasy; but it takes place in the real world and explores the question of who are the real monsters, the things coming through the gate or the humans already on this side. All of the characters (except the monsters, of course), are realistically drawn -- no exaggerated bodies on the women. We have two issues ready to go, and two more close to finished. We have other projects we would like to pursue. The first is taking the stories of Victorian women horror writers, like George Elliot (yes, he was a she) and others and turning them into comic books. We have 6-time Bram Stoker award winning (and national best seller) Nancy Holder set to do the writing. 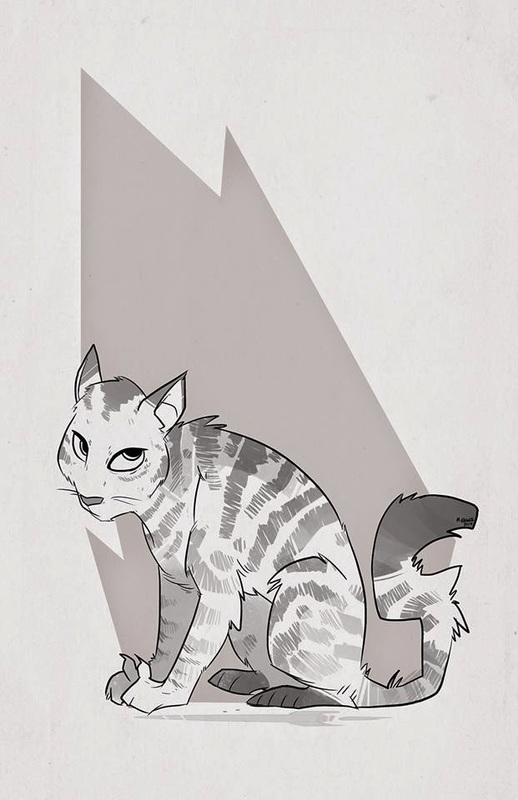 Our second project is “Pet Noir”, based on a series of link short stories written by Pati Nagle. This project stars Leon, a genetically altered cat who is placed on a space station as a spy. 4) What song would you say best represents your publishing house and why? Right now I’d say 'Que Sera Sera' by Pink Martini. Not the Doris Day version -- the really disturbing, calopy-esque Pink Martini Version. I love it. There are people out there that tell me I’ll never be successful doing all women comics with real women bodies. They say the audience of teenage boys won’t buy it. I inform them the fastest growing demographic in comics is female. They scoff. I say, can you guess… What will be, will be. 5) If you could get a celebrity – either living or dead – to promote your wares, who would you choose, and why would you want to choose this particular person? 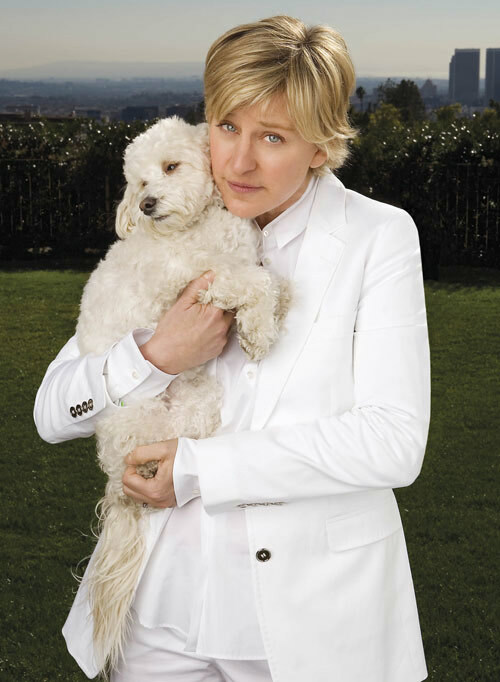 I would choose Ellen Degeneres. The reason is because she is fun and embodies all of the qualities our company is embracing. She’s not afraid to be who she is and she’s very supportive of others. And did I mention she’s fun? 6) What have you learnt about yourself through this endeavour? And were their any unforeseen obstacles you had to contend with along the way? I learned how fun it is to write (and read!) comics. I hadn’t really read comics since I was a kid. In researching whether I wanted to go into this field or not, I discovered that the comics of today aren’t the comics of yesterday. I mean, Archie Afterlife really plays havoc with my memory of Archie comics! The writing and the art is so good and entertaining. My favorites are Saga, Ghosted, Rachel Rising, Witchfinder, and Voices in the Dark. There’s been a learning curve switching to writing comics. Quite honestly, I think the form has made me a better writer overall. Brevity, Brevity, Brevity. You really have to think about your scenes and what they need to accomplish. If anyone read my original pilot today, they wouldn’t believe that this comic is based on it. As for unforeseen obstacles -- it would have to be the cost of distribution. We have considered publishing our projects, but at the moment we are talking to small publishers who already have a distribution deal already in place. 7) During your time in this field, what is the one thing that has kept you in good stead? The thing that has kept me going is the reception we’ve received from men and women for what we are doing. The majority of people we talk to seem to think there is a need for this kind of thing. We get support from people inside and outside the world of comics. It just reinforces the need for women-friendly comics with women artists. 8) If ‘Kymera Press’ had a motto, what would it be? We do have a motto. It’s “We’re not asking for permission…” We’re not. We just going ahead and doing what we want to do. So there you have it, my friends. My pal Debbie and her work over on Kymera Press Inc. When you have the time please check out some of their great stuff by clicking on their website, facebook page, and twitter stream. Go on. Every click is a click for a better and brighter tomorrow.